Wayne Christy at the fish market on the Washington Chanel in Washington, DC. She was Wayne Christy from 1966 to 1990. The owner and captian was Berlie Custis of Onancock, Virginia. Berlie provided this picture of her while she worked the fish market in Washington DC. She was then sold and renamed Old Squaw in 1990 and home ported in Maine. 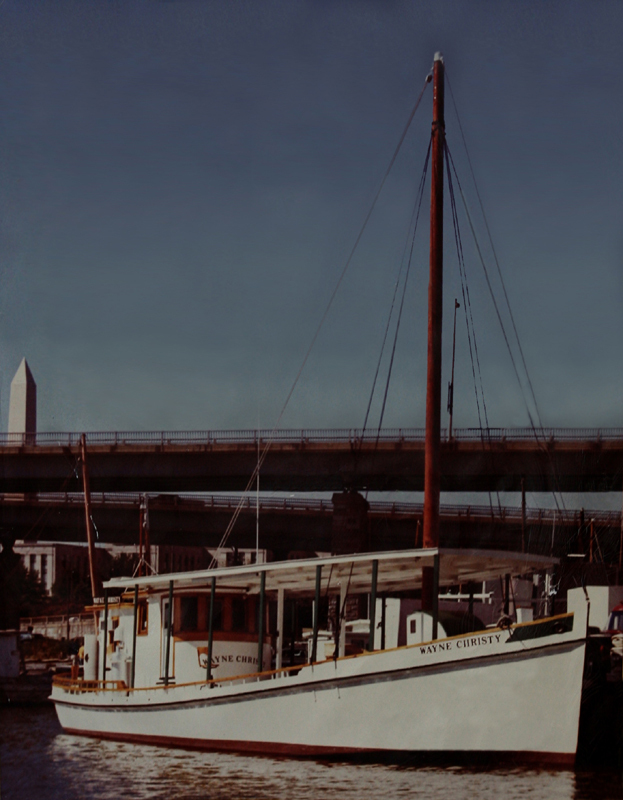 Wayne Christy started out as Agnes Sterling, Wayne Christy, Old Squaw and now PropWash home ported in Dumfries, VA.